Not far north of Chiang Mai City the former Doi Aoy Chang, now Doi Suthep-Pui National Park is one of a number of Thailand’s National Parks that is popular with tourists. This mountainous park is named after the mountain under which the hermit Sudeva lived for many years. 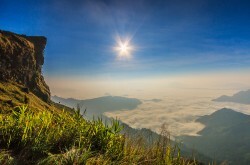 Doi Inthanon, Doi Pui and Doi Buak are three of the tallest peeks in the spectacular 265 square kilometer park that forms part of the Thanon Thong Chai range of Mountains in Northern Thailand. Doi Suthep-Pui National Park is a spectacularly scenic mountainous park with evergreen forests from 1000 meters up that give it lush and tranquil feel all year round. For tourists the main attractions other than the evergreen forests include well demarcated hiking trails some of which are over a number of days and include camping. 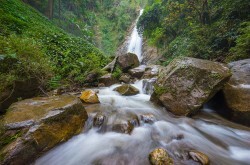 Equally enjoyable are the flowing waterfalls that are ideal for bathing and swimming in. 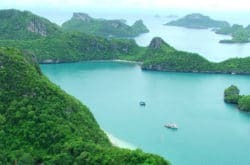 Two of the better-known and best waterfalls to visit include the amazing nine-tiered Mon Tha Than Waterfall, about half an hour’s walk into the park, and for butterfly lovers the Huey Kaew Waterfall. There are a number of tours that take tourists to the park and some are specialist tours designed to show people some of the unique wildlife. Animals that can be spotted in the park include Indian muntjac, Assam Macaque, Asian golden cat and the Asian black bears. For birdwatchers, the park is a popular destination as it is home to a variety of common yet still unusual birds such as white-crested laughingthrush, blue-throated barbet, grey-capped pygmy woodpecker and Blyth’s Sky-Babbler. Because the park is quite high up the temperatures are much cooler than one would expect in Thailand. The average daily temperatures are quite peasant, between 20 and 23 Celsius and lowering as you gain altitude. In winter, temperatures at night can drop to around 5 degrees. The colder winter months especially around Christmas and New Year often see frost and this attracts large numbers of locals as a well as tourists looking to escape the heat of city. If you are visiting in August or September be aware that these are the rainy months and much of your visit may be spent inside a vehicle or undercover. To enter the park is costs around 200 Thai Baht and half price for children. There are other attractions inside the park other than nature. 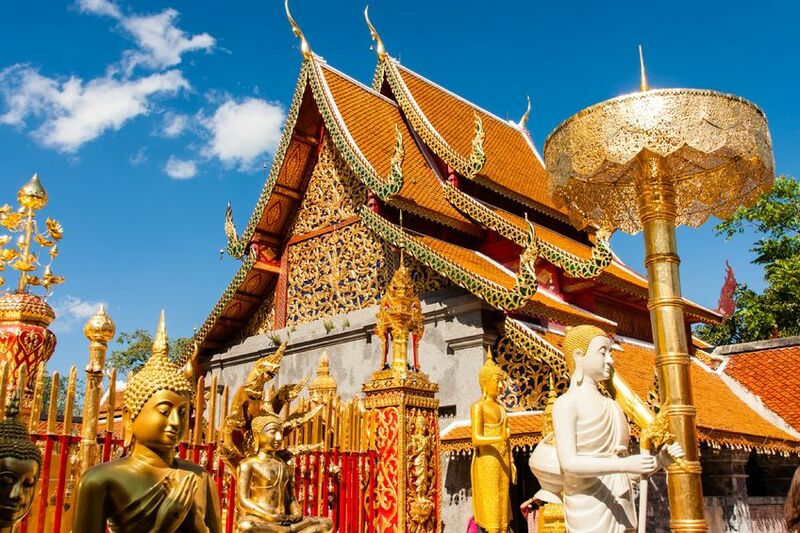 Two of the most popular are the Bhubing Palace and Wat Phra That Doi Suthep. The Bhubing Palace was constructed in 1961 and is the winter home of the Thai Royal family when they are in Northern Thailand. This wonderful palace is open to the public when the Royal Family are not in residence and it has some of the most amazing views over Chiang Mai City. Wat Phra That Doi Suthep, or simply the Doi Suthep Temple is a Buddhist temple with many ornate shrines, pagodas and artwork. The temple is one of the most sacred sites in Northern Thailand and is said to date back to the 14th century. It is easily accessible by road and visitors are asked to respect the dress codes, as it is a place of religious importance. As for accommodation, the park is not far from built up areas where there are many hotels, resorts and guesthouses. However, to really experience Doi Suthep-Pui camping is by far the best way to get close to nature and relax. The Yod Doi Pui campsite has a visitor centre, a restaurant and good camping facilities, tents and bicycles are available for hire. Doi Suthep-Pui National Park is open all year round and is never really crowded unlike many tourist attractions. The park is a short drive from Chiang Mai City and many hotels and resorts provide a variety of trips and tours making it easy to get to. For many tourists Doi Suthep-Pui National Park is place that once visited they will yearn to return to.